NOTE: If you have a valid medical marijuana card from any legal state, you can purchase at Michigan dispensaries. Michigan has reciprocity with any state that has legalized medical cannabis. 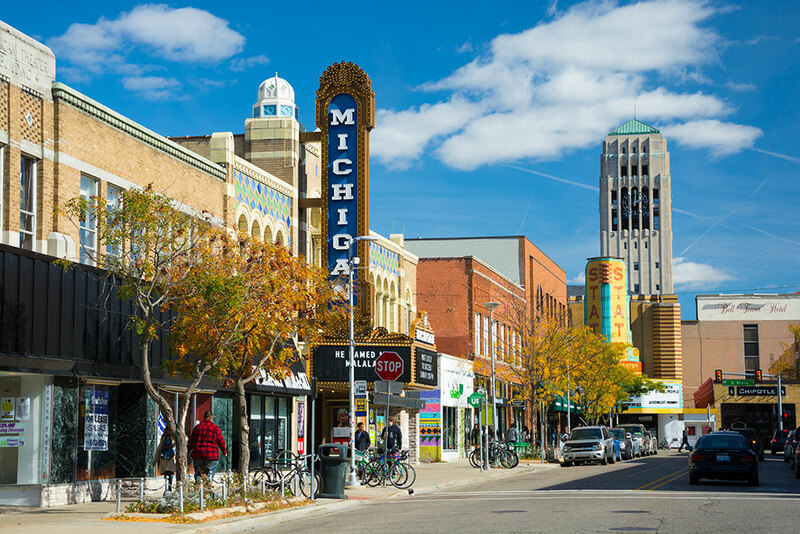 Ann Arbor, MI is ground zero for the cannabis legalization movement. Way back in 1972 Ann Arbor decriminalized marijuana. The city council overwhelmingly voted to make possession a $5 fine as a misdemeanor. Inflation has ravaged the fine and now it’s $25, but … WAIT!!! Cannabis is legal in Michigan. As of the Nov 2018 election, there are no fines or arrests for having cannabis in your possession. While it is legal to possess, it is not legal to smoke in public. Nor can you buy it yet without a valid medical marijuana card. In 1972, Ann Arbor was the first city in the U.S. to recognize that people were consuming cannabis and the police were spending too much time ‘busting’ people with cannabis. These people were mostly students at the little university in town; Michigan. Fast forward. In 2008 Michigan legalized medical marihuana (the state’s retro spelling for some reason), and Ann Arbor was at the forefront again with dispensaries, called provisioning centers in Michigan legalese. There are lots of dispensaries in Ann Arbor. How are they run? Do any stand out from the pack? Yes. As on now in 2019, there are only medical marijuana shops in Michigan. Adult use cannabis shops will open in 2020. 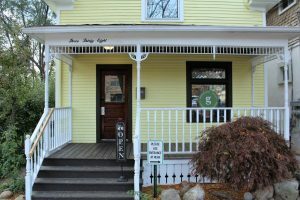 The current crop of dispensaries in Ann Arbor are a microcosm of dispensaries all over the country. While cannabis is legal in many places, is not normalized anywhere yet. If you have any doubts, you need only look as far as Colorado where the dispensaries mostly have a sameness to them. Little (or big) anteroom at the front where you can sit while you wait to go into the sanctum sanctorum where the ‘stuff’ is kept and sold. And only one person is allowed in at a time…usually. Michigan dispensaries are built on that model. At the end of the day, these are all retail stores. They have retail design that makes people feel comfortable or not. They treat customers as if they really wanted them back. Or not. It’s retail. The same as a liquor store. There are too many dispensaries in Ann Arbor to review for this story and if I left you out, I apologize. Almost all dispensaries in Ann Arbor offer a ‘deal’ the first time you sign up to purchase their products. And all will be happy to send you a daily text about “Medible Mondays” or “WOWIE Wednesdays.” Rather than a daily deal which is designed to bring people into the dispensaries frequently, I’d rather have good, stable prices. Prices that reflect the buzz and not the percent of THC in the flower. But that’s my own axe to grind. Currently, almost all prices are reflected in the quantity of THC and not the quality of the whole flower. What Was Reviewed and how? This analysis consists of my thoughts on each of the dispensaries reviewed. I considered the ambiance, as in “How does it feel inside? The selection of products How balanced is the selection? Is there ‘something for me? The knowledge of the budtenders. Do the budtenders know and understand the medical uses for each strain along with the terpene profile? And finally, price. I won’t say too much about that, because mostly they’re in line with one another and sadly the prices seem to be wholly dependent of percentages. The percent of THC certainly doesn’t have a real bearing on the quality of the cannabis. That depends on a more holistic view of the plant; THC, CBD terpenes and other cannabinol compounds present in the mix. A word about packaging. Most dispensaries pre-weigh their cannabis flower. I don’t mind that so much although I don’t get any choice about which particular buds I might want to buy. Most (but not all) dispensaries sell their single grams in a teensy plastic zip lock bag. Personally, I dislike (dislike might not be a strong enough word) the “zip-lock” packaging. It’s prone to delivering dried and/or crushed bud and that’s not good. Larger quantities usually come in jars which are much better than the little plastic bags, but again, no choice of buds. The most common packaging I’ve seen in several states is a “pill jar” package which has the advantage of coming in several sizes, is almost, but not quite water proof for keeping your bud fresh. The very best packaging I’ve ever seen is a metal and cardboard tin where While I don’t necessarily want the biggest buds, I do photograph them a lot so a bigger bud is sometimes what I need. At home, I store my bud in small mason jars with a 62% humidity pouch. It keeps it fresh that way. Om of Medicine (112 S. Main St.) – One of the older shops in Ann Arbor. 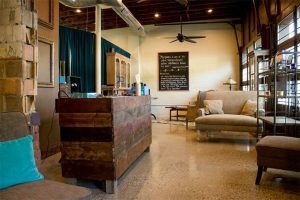 They used to be on the third floor of a building on Main Street, but recently moved into a Main Street storefront that gives them far easier access. I really enjoy their friendliness and selection. Always a smile. And a lot of good usable knowledge. Once you’ve shown your card and ID, you can walk into their very large lobby with lots of green plants on one of the walls along with a whole bunch of art. When It’s your turn, someone comes to get you and you’re ushered into a small room where you can make your purchases. If you have a specific effect you’re looking for, they will fill the bill. 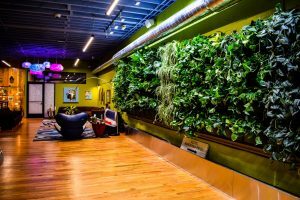 Bloom City Club (423 Miller Ave.) – Operated by women, this dispensary has a nice homey and relaxed feeling that just makes you feel good. At Bloom, everything you buy is weighed individually. This is only one of two dispensaries that I’ve seen in Ann Arbor that does this. Maybe this will disappear, but I hope not. It’s a kind of personalization that customers like and maybe why the store is almost always crowded. As long as they keep doing it, there is a selection of flower kept in individual humidified containers and you can pick out the buds you want, if you’d like. Their flower selection is wide and deep and their various concentrates and edibles they sell is also pretty vast. Bloom certainly goes out of their way to make you feel good about what you’re purchasing. An interesting note about Bloom is they seem to have high turnover in staff. The last time I was in (this week) there wasn’t anyone I recognized. LiV Wellness & Cafe, 603 E. William St.— Not easy to find even though right downtown by the UofM campus. A tiny door wedged between parts of a popular pizza shop on William and Maynard and upstairs. When you do find it, Liv is worth the search. They probably has the best selection of cannabis in the city. It might not be the fanciest, but it’s a huge selection. Besides Bloom City Club, Liv is the only store that weighs the bud right in front of your eyes. While I do enjoy kief and water wash bubble, their selections of concentrates and edibles is large. The budtenders are friendly and generally possess good knowledge of different cannabis strains. Greenstone Society, 338 S. Ashley St. – This dispensary is less than a block from where I live, so it’s a natural for me. I’ve had different experiences here. Once I went there and the budtender was very um, clipped. It was as though she couldn’t wait to get me out of her hair. Certainly didn’t make me feel good. I’d have to say retail was not her calling. However, every other time I’ve been there, I’ve had incredibly nice experiences. Their selection might not be the largest, but it’s certainly good quality in everything. 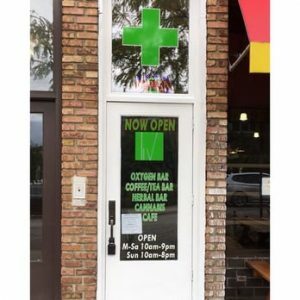 Treecity Health Collective, 2730 Jackson Ave. – This dispensary is right next to I-94 at Jackson Road. It’s not easy to find, situated in a corner of a little strip center. Pleasant entry area where you show your ID and sing the crazy stuff they, and every other dispensary in Michigan, make you sign every time you go in. Inside the shop part has lots of glass cases, The selection is usually small, but high quality. The budtenders here are generally quite knowledgeable and the packaging for anything over a gram is sealed glass. I kind of like that. Medicine Man of Ann Arbor, 2793 Plymouth Road – Out in the ‘burbs of East Ann Arbor, Medicina Man is a bit different. It’s on the 2nd floor of a small office space on Plymouth Rd. You have to drive into the lot and find it on the east side of the building, then walk up the stairs. At the top of the stairs, you essentially walk into the retail part of the shop. Their selection is pretty well curated, but I will say I got some dried out and not very good bud there once. Budtenders were modestly knowledgeable, but enough for an experienced user. Some of the other dispensaries might be a better choice for a newer consumer. Arbors Wellness, 321 E. Liberty – Located in an old house in the center of town, Arbor’s Wellness does a good job with product and budtenders with product knowledge. The packaging is standard with grams in zip bags. One thing I’ve found; If you’re walking on Liberty, you’ll be able to see the little sign, but where do you go in. You have to go to a side door through a path that feels a slight bit like a maze. When you go in, it can be a bit disconcerting as to where to check in with your medical ID and driver’s license, then when you leave, there’s more of a maze to get out. Maybe it’s a test? Exclusive Provisioners – In an industrial Park on the far south side of Ann Arbor. Walk in and a little window (which I missed) was on the right. That’s it. Bare lobby nothing at all in there. No place to sit. Fellow at the front window was a bit gruff, but that was OK, no harm done. This company used to be called Canniseur (yep, close to our name) and were located closer to downtown. I don’t know when or why they moved. I’d been in there a long time ago, and I do recall it being operated by hippie types. The same people are there. They are sweet, but a bit of a throwback. Their knowledge was OK, but one of the budtenders didn’t even know what a terpene is. There wasn’t a ton of thought put into the design of the interior. Just some old store counter (probably from an auction) along three walls and that’s it. There might have been a poster on the wall, but it was innocuous. Selection was just OK and the quality was good. The prices seemed about the same or a dollar or so higher than almost all the other shops. Arborside, 1818 Packard St. – Packard is one of the main streets in Ann Arbor. This store only has a store number on it and the numbers are big, but as long as you know the number, you’re good. A bit strange inside, but nice. After you check in, there are lots of places you can sit. When you’re called inside, the budtenders are quite nice and knowledgeable. I can’t really say it’s decorated inside. There were posters, but that’s about it. The selection, while not vast proved to be of better than average quality. I liked that. Peoples Choice, 2245 W. Liberty St. – I visited this place once. It’s in a little light industrial strip center, so you have to look for them. Apparently they did not reopen after the Michigan craziness of January and February, even though the storefront is there. They do have a business in Jackson about 30 miles west of Ann Arbor. For now, even though they say they’re going to reopen, they are out of business.